This is your first chance to try out some of Microsoft's Anniversary Update features. The only drawback? "Rough edges." Run this on a test PC. 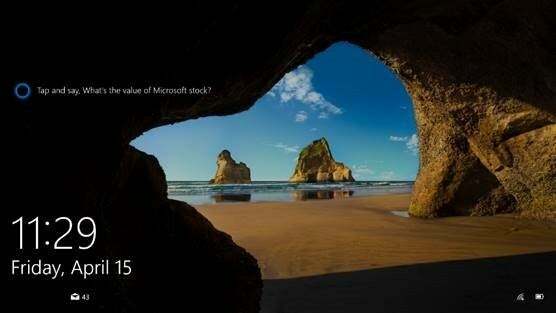 If you’re a member of Microsoft’s Windows 10 Insider program, today is like Christmas. Build 14328 of Windows 10 for PCs and Windows phones packs Anniversary Update features like Windows Ink, changes to the Action Center, and better battery life into what’s probably the largest Insider update ever. Get ready to freak out. Though Microsoft stuffed tons of updates into this new build, some should feel familiar. Bugs halted the deployment of Windows 10 Mobile build 14322 to PCs, for example, but its updates to the Action Center and other improvements have now been added. 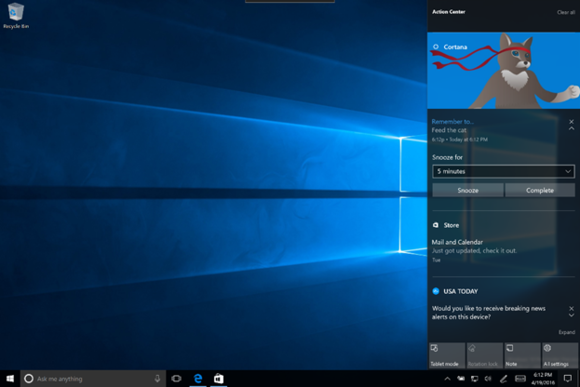 This is also your first chance to experience several Anniversary Update features due this summer, including Windows Ink and Cortana on the Windows 10 lock screen. But Microsoft has also tweaked virtually every element of the Windows 10 interface: the Start menu, the Action Center, the lock screen, the taskbar, and the Settings menu have all been revamped in some way. And if you have a Connected Standby-capable PC like a Microsoft Surface, expect better battery life as well. Yes, you do need these stinkin’ badges: the updated Taskbar in Build 14328 includes “badges” that provide more information about UWP apps. There’s just one catch: as experienced Insiders know, many features mean many bugs. Microsoft explicitly warned that the new build contains code “with very little stabillization,” meaning that the new build, available to Fast Ring subscribers, will likely have issues. You might want to test this on a secondary, non-essential PC. 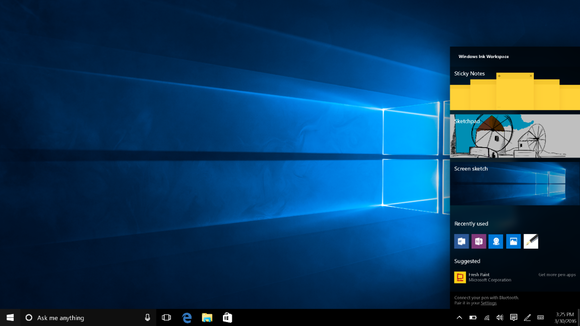 Why this matters: As Microsoft prepares to release its Anniversary Update this summer, Windows 10 Insiders are getting a chance to try out and help debug some of Microsoft’s new features. Just to be clear, though—this is not the Anniversary Update itself; additional new features will be shipped as part of future builds, a Microsoft spokeswoman said via email. Windows has always been at the forefront of making human–computing interaction more natural, and the digital pen is the next iteration of that, Li-Chen Miller, group program manager for the Ink team, explained as part of Microsoft’s introduction to Windows Ink. In a sense, Ink is a recognition that Microsoft has bundled a pen with the Surface Book and Surface Pro 3 and 4—but there hasn’t been that much to do with it. 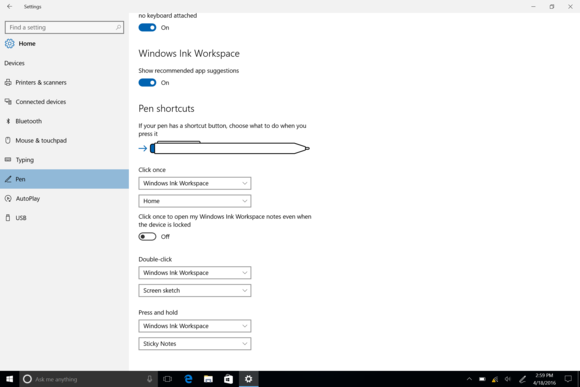 That’s changed completely with the creation of a Windows Ink Workspace within Windows 10. 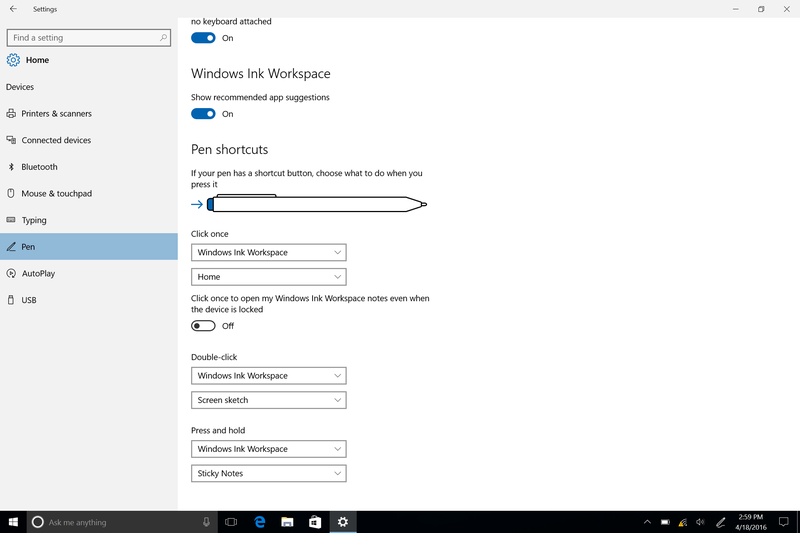 Click the pen icon on the toolbar—or the button on top of the Surface Pen, on a new PC—and Windows 10 will launch the Windows Ink Workspace, a collection of pen-enabled apps that will appear as a right-hand nav bar on your Windows desktop. If you don’t have an active pen but your PC has a touchscreen, you can right-click the taskbar and enable finger-inking. There are new Settings specific to the pen, too. 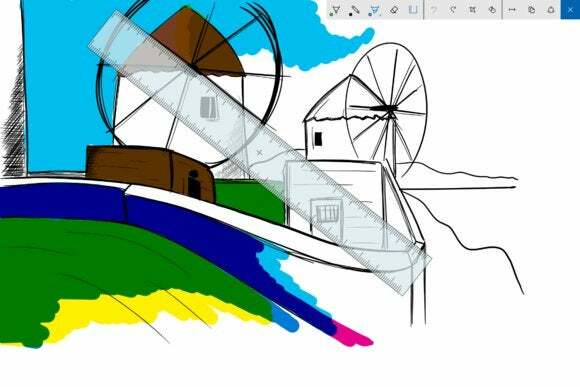 Within the Workspace, apps like Sketchpad provide a new twist on existing apps like Fresh Paint, but with the digital ruler functionality Microsoft showed at Build. Screen Sketch lets you draw on a full-sized screen capture, a la Microsoft Edge. 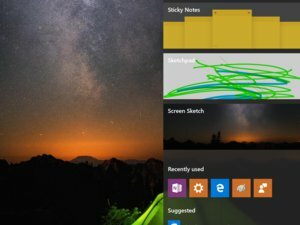 Sticky Notes allow you to draw your own reminders—which will eventually be sucked into Cortana, too. Finally, Microsoft revamped the pen Settings menu and is even building out a pen-optimized subset of the Windows Store. 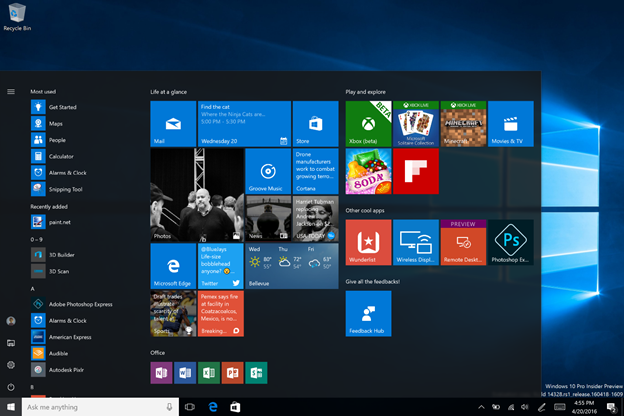 Microsoft enjoys fiddling with the Start menu, but we think you’ll like these changes: the most used apps list and the all apps list are now a single view, optimized to eliminate unnecessary clicking and scrolling. 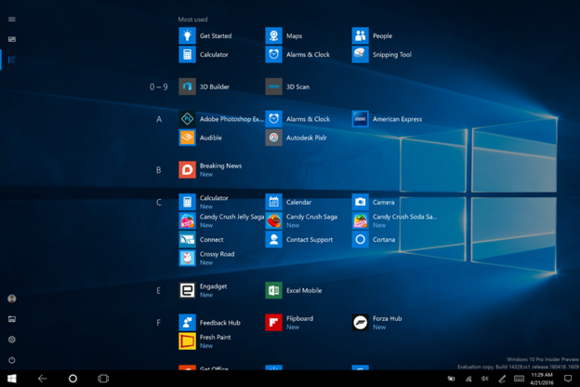 Any folders you’ve placed into Start will be immediately available, without the need to access the “hamburger” menu. Note some of the changes in the new Start menu: the “recently added” shows three entries, and the all app section is just a scrollable column. Perhaps best of all, the Power, Hibernate, and Sleep commands have been separated and stored on the left rail, where they will always be accessible. In tablet mode, Microsoft also made a change: It brought back the grid view to All Apps. Well, sort of. 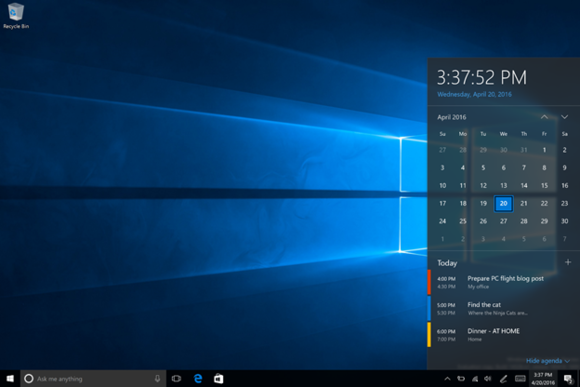 The menu has been revamped, though Microsoft also retained the “pinned tile” view. The Start menu in tablet mode. Microsoft taught Windows 10’s Cortana assistant a number of new tricks, but perhaps the most interesting is the fact that you don’t necessarily need to introduce yourself anymore. Instead of a digital assistant, Cortana can become more of a librarian, answering general questions about the world without the need to sign in and disclose your personal information. 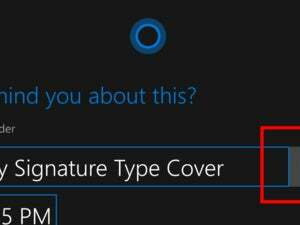 If you want to set a reminder or ask for personalized assistance, though, you’ll need to sign in—especially if you want Cortana to look through your OneDrive for a file, another new feature. Cortana also appears on your PC lock screen, where she can be configured to respond to questions and set reminders if you enable the “Hey Cortana” feature. (You may need to unlock your device in certain situations.) Note that you’ll probably consume some additional power while doing so, but how much isn’t clear. Cortana on the Windows 10 lock screen. Cortana also includes the features from recent Windows 10 Mobile updates, including Build 14322, with the capability to tie camera photos to reminders, as well as send content from universal Windows apps like the Edge browser to Cortana as a reminder to read later. More to the point, Microsoft also has tied Cortana more closely to your Windows phone: Cortana will now inform you of low battery power on your mobile devices, you can ask Cortana to find and ring your phone, and you will be able to share maps across all your devices. Media playback controls have also been added to the PC’s lock screen, a feature that debuted in Build 14322 as well. Finally, if you really hate that Cortana displays your email address on the lock screen, good news: that’s gone. Normally a collection of icons that quickly allow you to navigate from app to app, the Windows 10 taskbar now offers its even more context. Universal Windows apps like Mail will show off “badges” that indicate how many unseen (not unread) emails you have. And if you want to see your calendar, you don’t need to open the app—the taskbar will display it, and even allow you to add an appointment. Who needs the Calendar app? The Taskbar has you covered. One icon, though, has vanished from the Taskbar: the File Explorer icon, which has been removed. Last year, Microsoft killed the search box, and this year, the File Explorer has been unpinned. It’s still accessible from the Start menu, though, and you can always repin it. But if you discover it, you’ll also notice a slightly revamped icon. There are also a few handy little conveniences Microsoft added: clocks now display on all monitors, and you can switch audio playback devices via the volume setting—using your headphones while on work time, for example, but your monitor speakers after hours. The Taskbar within Build 14328 does a better job of organizing notiifcations. Microsoft’s Action Center changes were documented in Build 14322 as well, and include visual changes that consolidate notifications by app. Perhaps the most subtle change is the addition of a taskbar “badge” that shows the unread notifications. Cortana may also drop in notifications, such as meeting conflicts, into the Action Center, Microsoft said. Finally, there’s another convenience: clicking the Wi-Fi control doesn’t turn off the Wi-Fi any more (why would you want to do that?) and instead brings up a list of available access points. Although the vast majority of the updates in the new Build 14328 concern the user interface of Windows 10, there’s a big hardware update, too: improved battery life. Microsoft “quieted down” some of the background chatter apps use to update themselves on PCs with Connected Standby capabilities. (Not sure if your PC supports it? Run Command Prompt, then type powercfg /a to see if your PC supports the Standby (S0 Low Power Idle) Network Connected or Connected Standby state. Microsoft didn’t say how much battery life the tweak will add, but promised “improved and more consistent” battery life. Within the PC, the Settings menu has also been overhauled, with small icons that mimic the mobile Settings menu. Microsoft also reworked the user interface for the Universal Access Control (UAC) dialog, and added a few improvements to how Windows 10 handles Japanese expressions. Microsoft also moved the Insider build page to its own Settings menu. And if an app goes bad, you can also “reboot it” with a specific Apps reset button. There’s one more small improvement worth mentioning. If you use Windows 10’s virtual desktops, you can now swipe between them. Just use four fingers and swipe left and right on the touchpad. Is this the largest Windows Insider update ever? We’d certainly say so. Microsoft should be rolling out the update today. Let us know of any issues in the comments, and good luck!